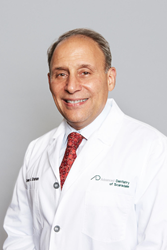 Advanced Dentistry of Scarsdale and Chappaqua Dentistry would like to congratulate Dr. Steven Brisman on being named President of the Greater New York Academy of Prosthodontics (GNYAP)! In all honesty, it was the most significant time of my career. For over 30 years, Dr. Brisman has served the Westchester County community by providing exceptional dentistry. As a prosthodontist, he specializes in dental prosthetics, like crowns, bridges, veneers, and dentures. Working closely with his associates at Advanced Dentistry of Scarsdale and Chappaqua Dentistry, he can also help create and place dental implants. His expertise and dedication has earned him his title and a medal of recognition from GYNAP. This is the same medal given to the founder of GYNAP in 1955. After he is sworn in as President of GYNAP in early 2019, Dr. Brisman will still provide prosthodontic care to his patients in Scarsdale, Chappaqua, and the rest of Westchester county.